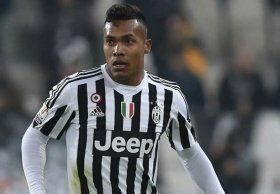 Juventus defender Alex Sandro is understood to have received a lucrative contract offer from an unnamed Premier League club amid the uncertainty surrounding his future. The Brazil international has been regularly linked with a move to the English top-flight over the past year with Manchester United and Chelsea being among the main admirers. According to Calciomercato, an unnamed Premier League club has presented a lucrative contract package to the Brazilian, who is understood to be assessing his future in Turin. Sandro currently has just 18 months remaining on his existing deal with the Bianconeri and the report indicates that he may continue with his contract standoff for the season in order to push through an exit. The 27-year-old has been with the Bianconeri since the summer of 2015 and during this period, he has managed nine goals from 131 appearances across all competitions. In a recent interview, the left-back cited that he would welcome a fresh challenge in the Premier League in the future and his ambition could come true by the end of the ongoing campaign.